Alongside Tintoretto’s great canvases, Giorgione’s Christ carrying the Cross – topped by a lunette of the Eternal Father and Angels, attributed to Titian and assistants – is the most important of the artworks in the Scuola’s possession. 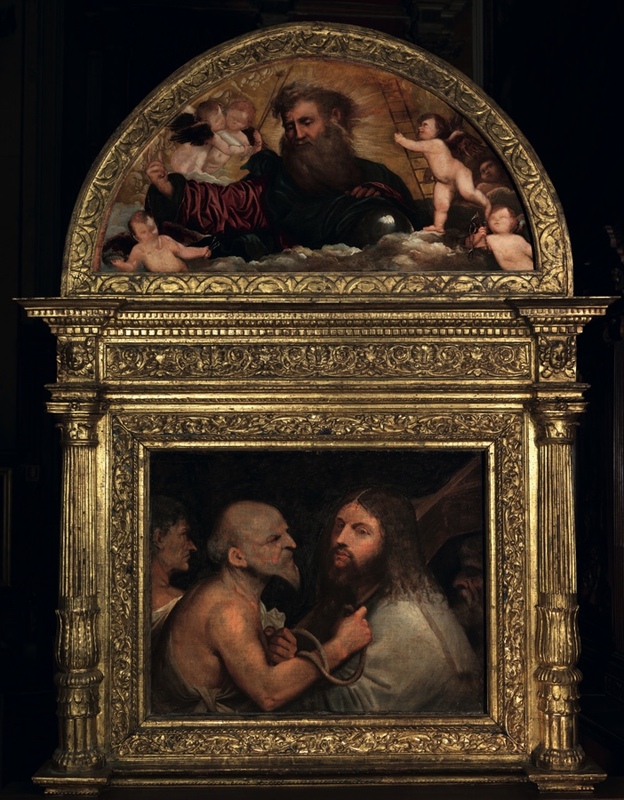 This image of Christ, long considered miraculous, was formerly displayed in the church and garnered such substantial offerings that it was possible to start work on the Scuola Grande’s monumental headquarters. Giorgio Vasari described it in 1550 as a work by Giorgione, but in the 1568 edition of the Lives corrected himself and attributed it to Titian. Only at the end of the nineteenth century was its authorship returned to Giorgione, triggering the attributive debate of modern times, which is still very much alive. Those ascribing the painting to Titian point to its northern realism, the influence of Bellini, the intense drama of the central group, and the relative ‘timidity’ of the two lateral figures, who seemed to be squeezed into the composition. 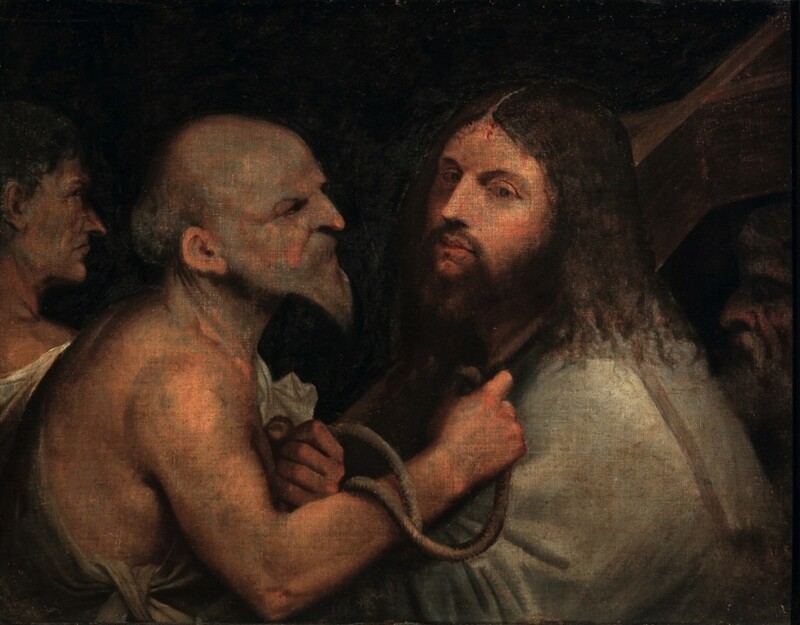 Those on the other hand who would place it in Giorgione’s last, realist, period, underline its stylistic affinity with others of the master’s works, like the Old Woman in the Accademia Gallery, and the calm if intense expression on the face of Christ, caught in a breathing space, before being jerked back into his ordeal by the executioner who tightens the noose round his neck.